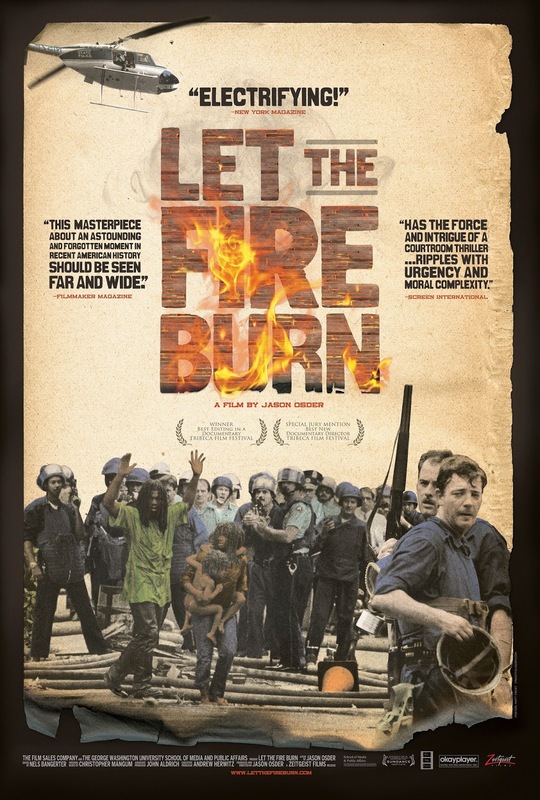 EYEAM4ANARCHY: Oct. 10th Radical Movie Night: Free Screening of "Let the Fire Burn." 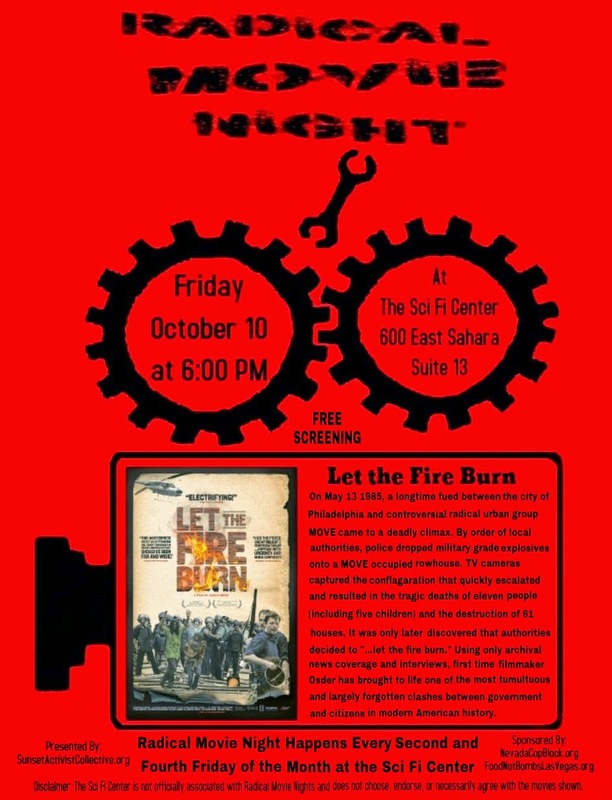 Oct. 10th Radical Movie Night: Free Screening of "Let the Fire Burn." October Radical Movie Night - "Let the Fire Burn"
September's debut of the Las Vegas Radical Movie Night went very well. In fact, it went well enough that we will now be doing two showings per month. So, on every second and fourth Friday of the month at 6:00 pm, the Sunset Activist Collective will host a free screening of either a documentary or a movie with significant social value. In order to coincide with the National Day of Action Against Police Brutality, which is held annually on Oct. 22nd (for more info see: http://www.october22.org/) October's screenings will involve movies that relate to police abuses. On October 10th, we will be showing "Let the Fire Burn" a documentary about the Philadelphia police department's response to a group known as the MOVE Organization, which was a radical black liberation group that practiced anarcho-primitivism, during two raids in 1978 and 1985. 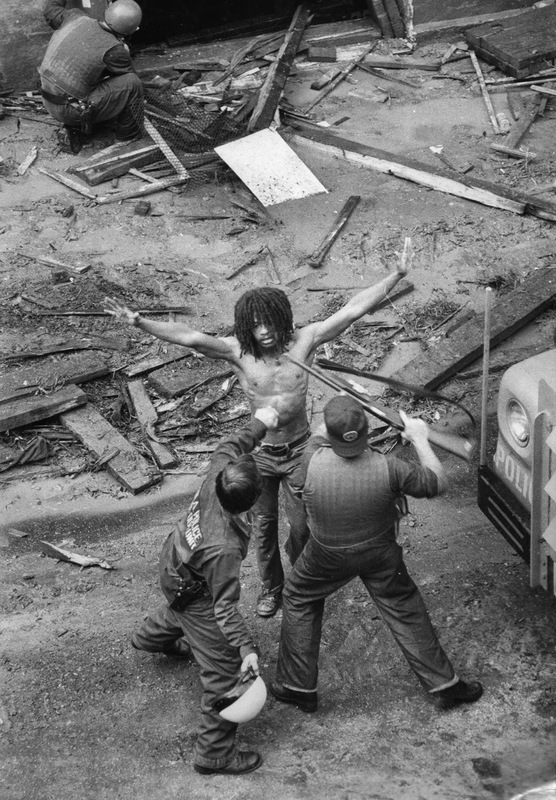 Delbert Africa is arrested by police after the 1978 gun battle. legitimate complaints as an opportunistic excuse to go after people or groups they dislike and the heavy-handed ways in which they often do so. As the movie shows, the members of MOVE were very bad neighbors and made things difficult for those living around them. However, the Philadelphia Police's "solution" resulted in most of those neighbors losing their homes when a fire ignited by a police bomb burned 61 surrounding buildings. 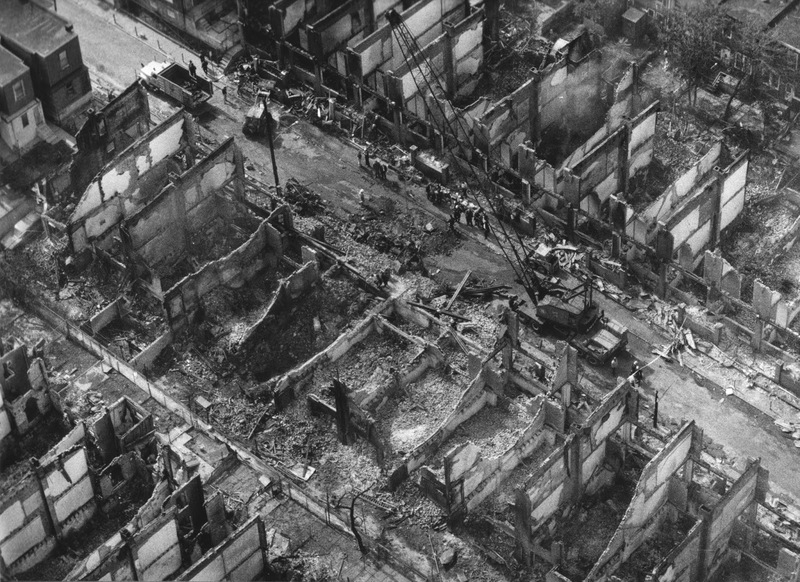 In addition, 11 of the 13 MOVE members living there , including 5 children, were killed by that fire, which was intentionally allowed to burn until it was out of control. Further, those residents' and the city's years long battle over poorly constructed and massively over budget replacement homes highlights the often corrupt and crony driven nature of politics. One might be tempted to ask if they were actually better off with their noisy neighbors. It certainly does beg the question of whether there were many, many better options to resolve the issues. cinematic objects: a found-footage film that unfurls with the tension of a great thriller. On May 13, 1985, a longtime feud between the city of Philadelphia and controversial radical urban group MOVE came to a deadly climax. By order of local authorities, police dropped military-grade explosives onto a MOVE-occupied rowhouse. TV cameras captured the conflagration that quickly escalated—and resulted in the tragic deaths of eleven people (including five children) and the destruction of 61 homes. It was only later discovered that authorities decided to '...let the fire burn.' Using only archival news coverage and interviews, first-time filmmaker Osder has brought to life one of the most tumultuous and largely forgotten clashes between government and citizens in modern American history." Director Jason Osder was named one of the 25 New Faces of Independent Film in Filmmaker Magazine July 2013.